I ♥ NY! It’s quickly become my favourite city to visit. Yes, it’s a given that it’s a wonderful eating city, but I also love that it’s a great city to wander in. You can get off at any Manhattan subway stop and wander a day away. In my previous trips to New York I hadn’t done much exploring of the Lower East Side, but on this trip I made it a priority. I found out that there’s a Saturday food market, so it made for a great excuse to visit. 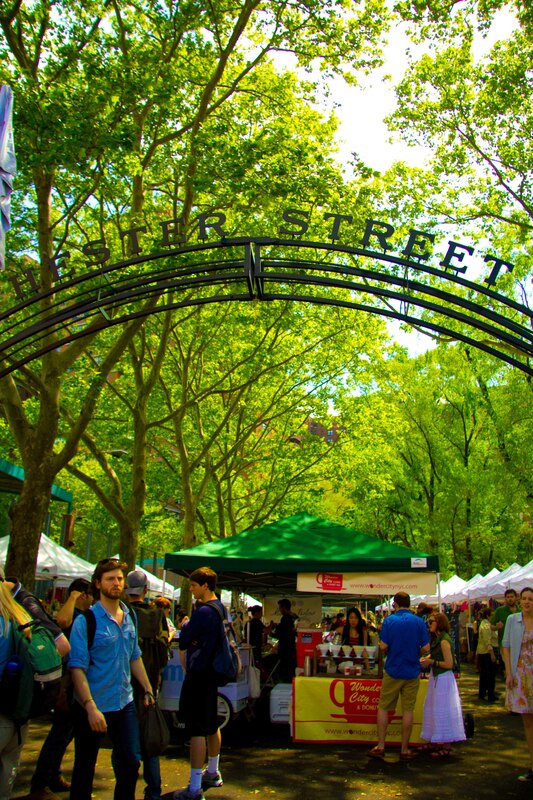 The Hester Street market is a wonderful neighbourhood market, modelled after the Brooklyn Flea. There are a few arts and crafts stalls, it’s mainly a travelling food lover’s heaven. 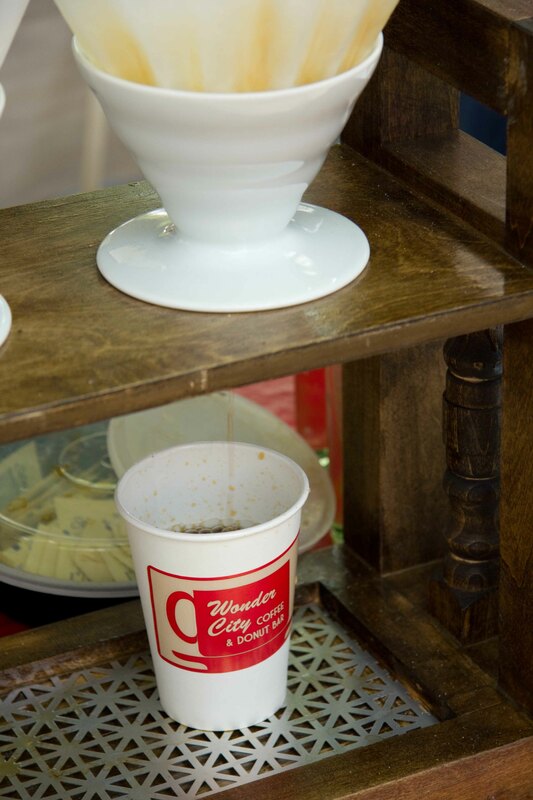 There are lots of prepared food vendors, making it a perfect place to have a delicious brunch. Gotta start with a coffee! 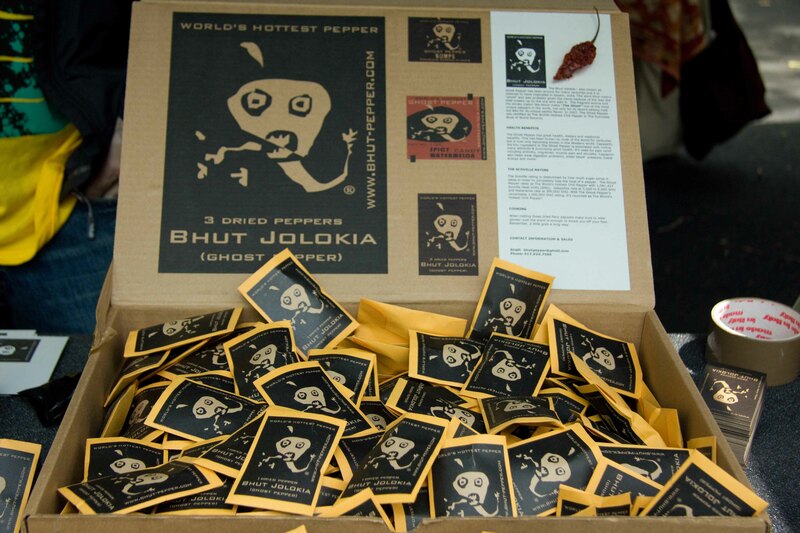 Bhut Jolokia (Ghost Pepper) is the hottest pepper on the planet. I picked one up, (who knows how I’ll use it) plus some watermelon pepper candies, which are a combination of sweet and painfully hot. Definitely a unique sensation. The Macaron Parlour sells candied bacon and maple macarons and of course I had to buy one. I felt it wasn’t bacon-y enough as I was eating it, but then I hit the piece of candied bacon in the center. 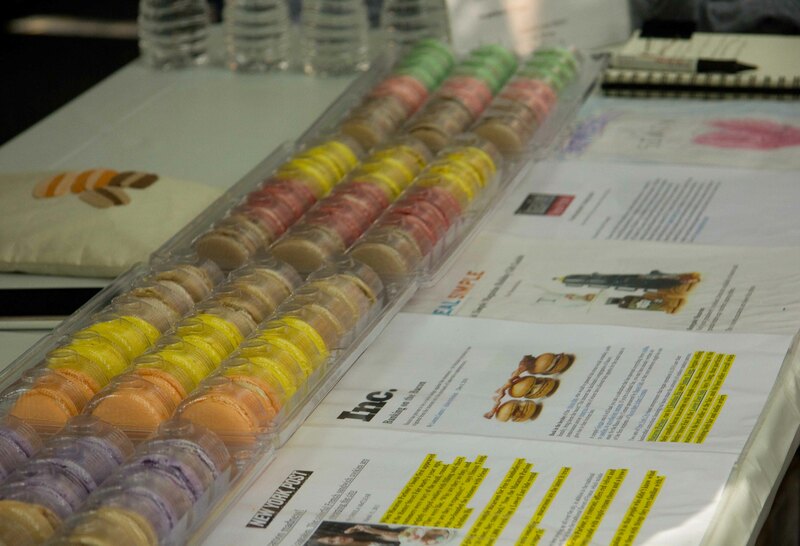 I couldn’t eat a lot of these, but was happy to experience it. Luke’s Lobster was on my list, so I was excited to see it at the market. 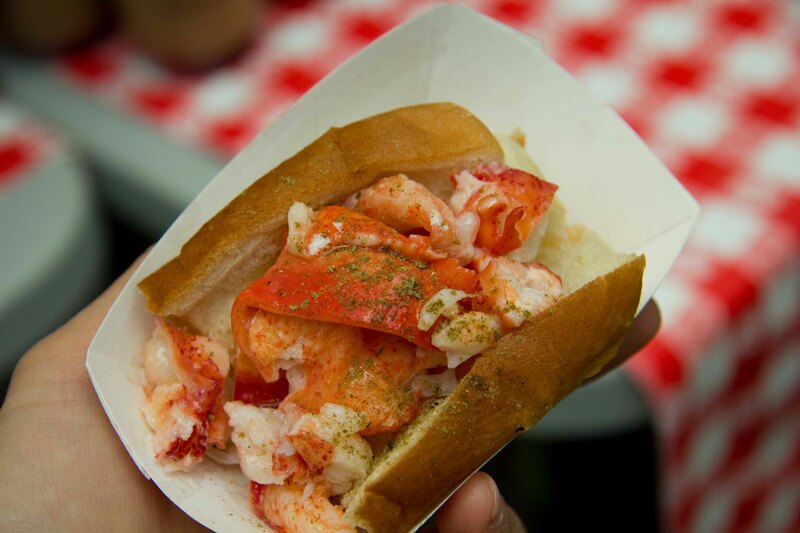 This tiny roll was expensive at $8, but the buttery roll and flavourful chunks of lobster made me forget about the price. Mighty Balls! 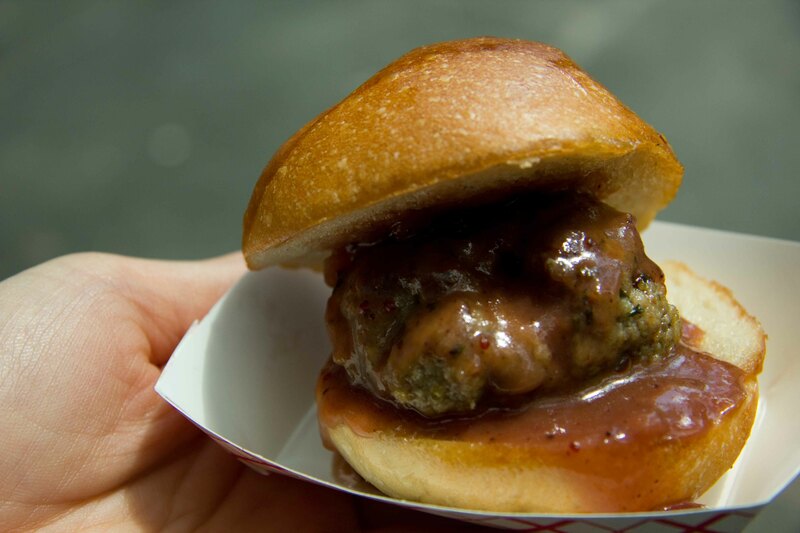 Not yo mama’s balls serves many different kinds of meatballs, with your choice of topping. This was “not your average brown sauce” with a beef meatball. 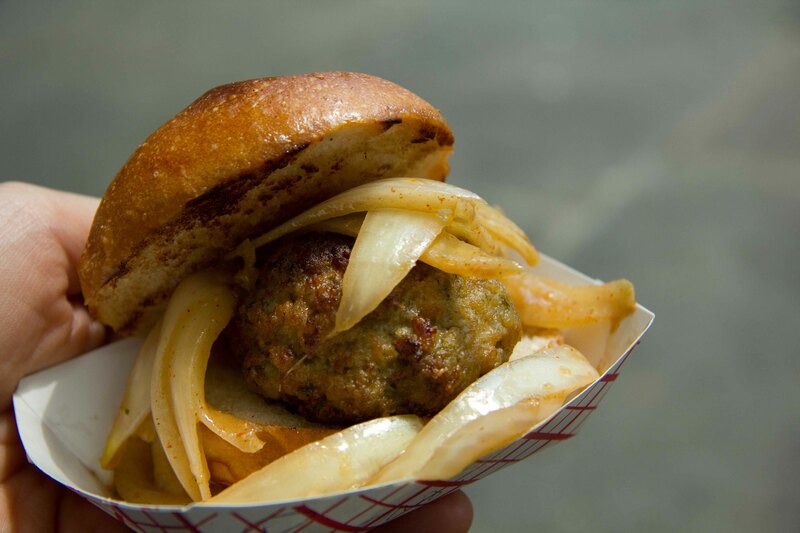 And the pork meatball with African onion. Both meatballs were yummy, and packed with flavour. There were so many food vendors that I was sad to pass up, especially the Japanese shave ice stand. But alas, my stomach is only so big and I really wanted to save room for another treat from the LES. 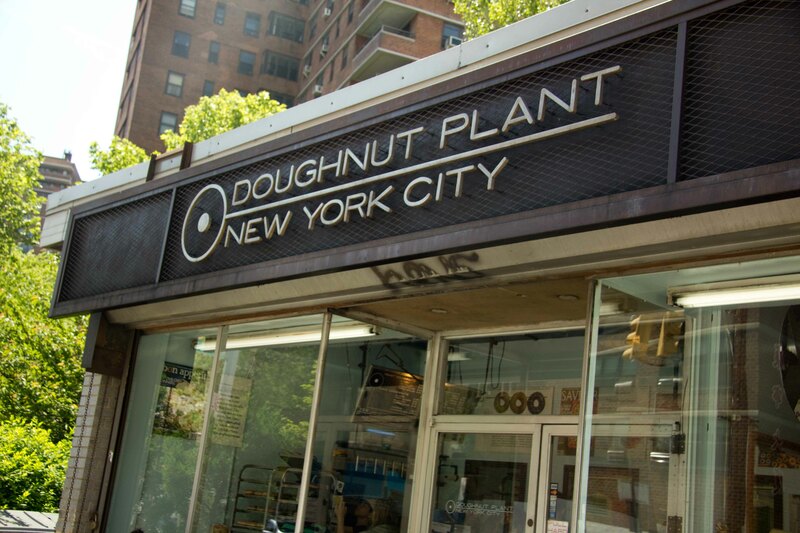 The Doughnut Plant is on most NY “foodies” must-do list. 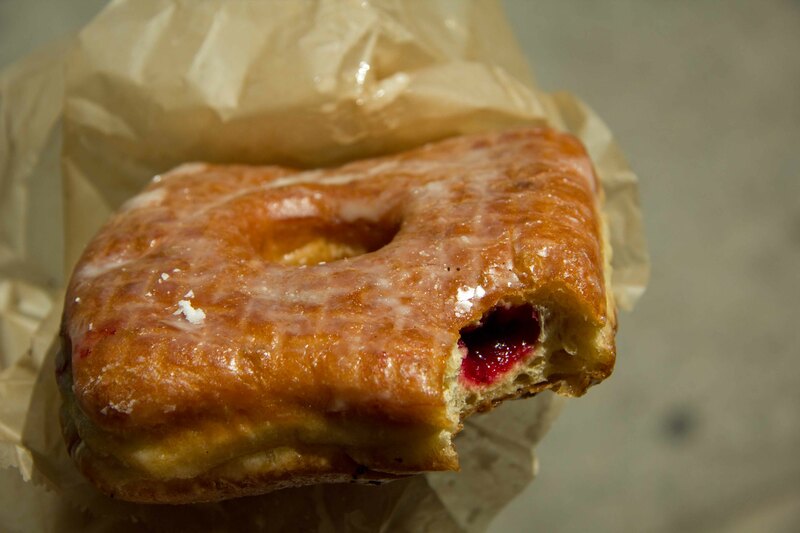 I don’t go out of my way to find a doughnut, but when I noticed it’s was only a block away, of course I had to stop. The Valrhona chocolate doughnut was a bit of a surprise. 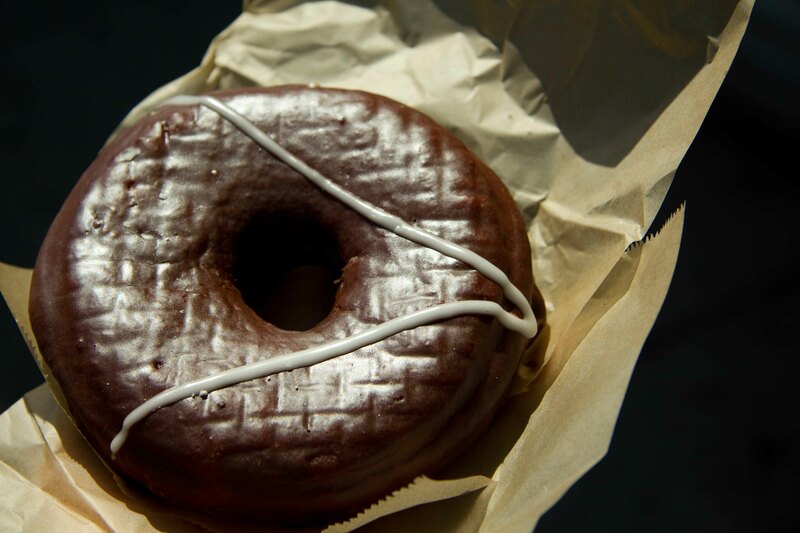 Instead of being chocolate, it was a traditional yeast doughnut dipped in chocolate. 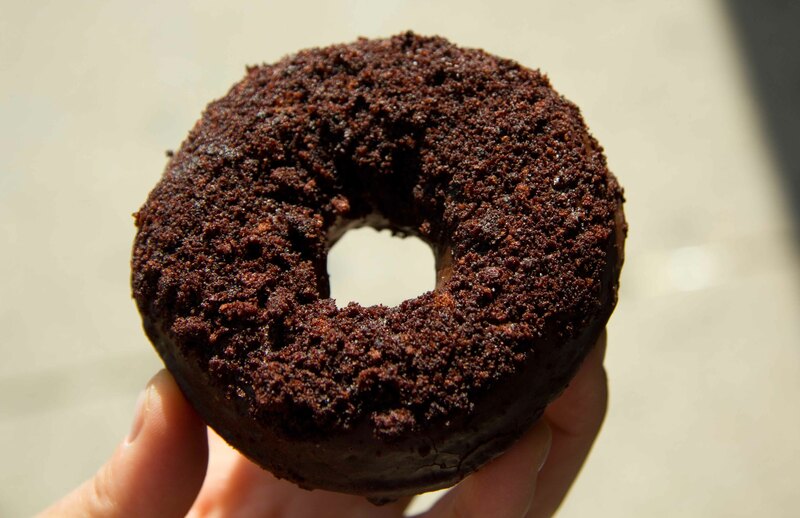 The Blackout doughnut – chocolate cake doughnut with chocolate cookie crumbs. The uniquely filled jelly was my favourite and something I would go out of my way for in the future.